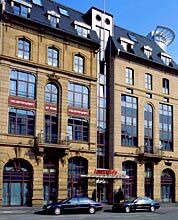 Centrally located, close to the main station, the modern InterCityHotel Frankfurt is the best choice for visitors to Frankfurt, offering a wide range of business facilities and comfortable modern designed rooms. 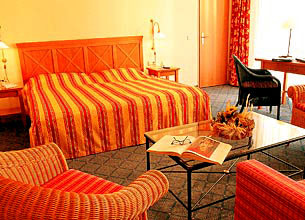 The hotel features 381 rooms and 3 suites equipped with a bathroom with shower/WC/hair dryer, air conditioning, cable TV, video on request, answer phone, fax and modem connection. 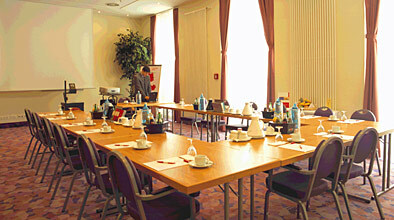 Executive rooms also have coffee and tea making facilities, mini-bar, and free use of the wireless LAN with your own laptop. 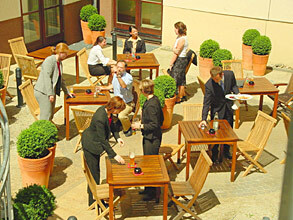 The hotel's restaurant, with an adjoining beer garden, offers of Italian and international delicacies. The Mainhatten Bar is a well-liked meeting point. Prices are per room per day. Tax, service charge and breakfast are included in the rate. 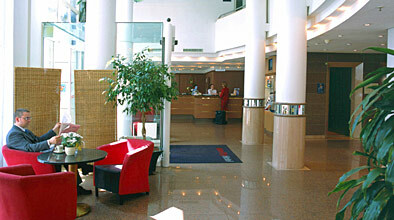 The Intercity hotel is only 100 m from the North entrance of the main station. 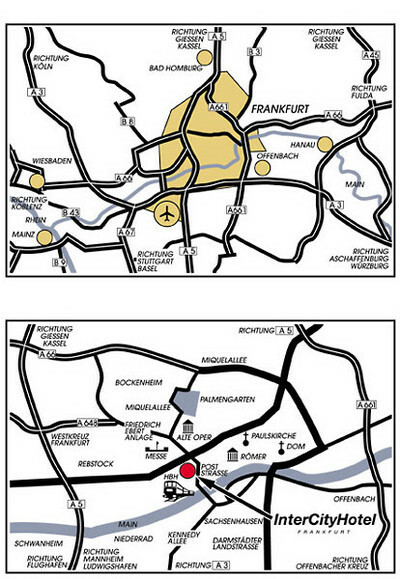 1,0 km from the Congress Center Messe Frankfurt Convention Center.